Fisher Phillips is a national management side labor and employment law firm. Its attorneys are ready to help you take a stand: in court, with employees and unions, or with competitors. 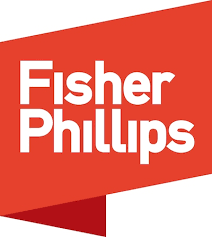 Fisher Phillips has the experience and resolve to back you up. That’s why some of the savviest employers come to the firm to handle their toughest labor and employment cases. The firm has more than 370 attorneys in 32 offices across the country.